What price can you put on your head? 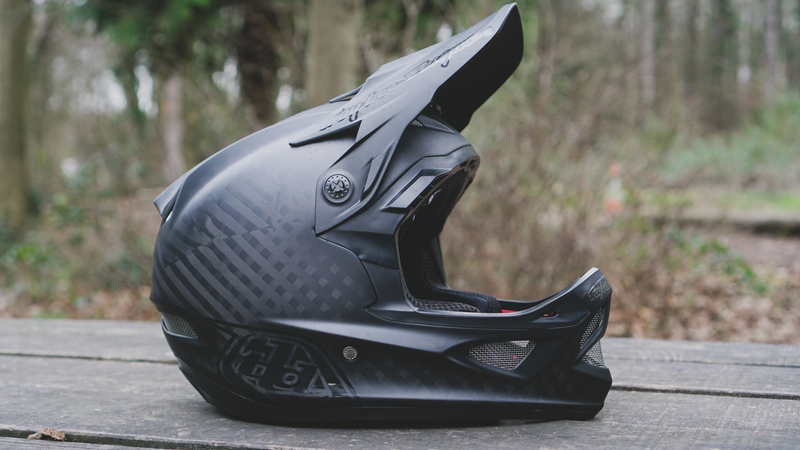 We’ve narrowed down a list of our favourite carbon full face helmets for downhill mountain biking. This one is all about the big guns. The best of the best carbon full face helmets for downhill, bike parks, uplifts and the bigger, faster, gnarlier end of your mountain biking. A downhill full face helmet is a very different beast to the sort of thing you’d run for an enduro race. With the help of an uplift you can be slightly less fussy about weight and venting, and pack in the maximum possible protection. In our book, a really good downhill full face helmet should first and foremost offer loads of protection against impacts. Alongside, it should be as light as possible, as comfortable as possible and look great. 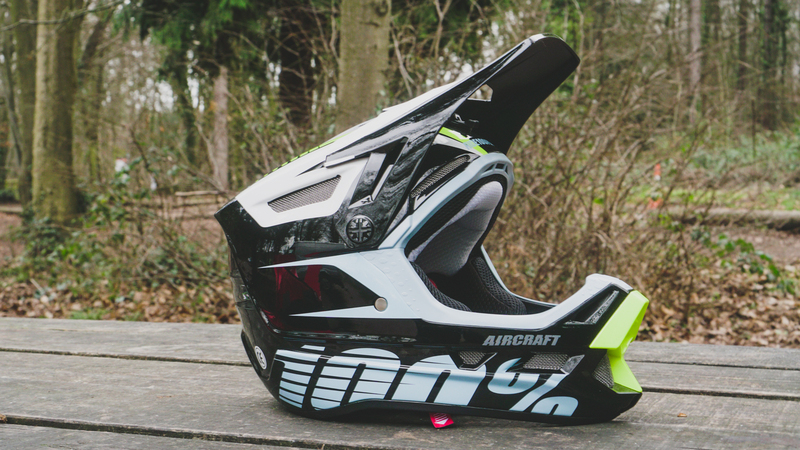 We take a look at the Fox Rampage MIPS, the Troy Lee Designs D3, the Bell Full 9 and 100% Aircraft MIPS. 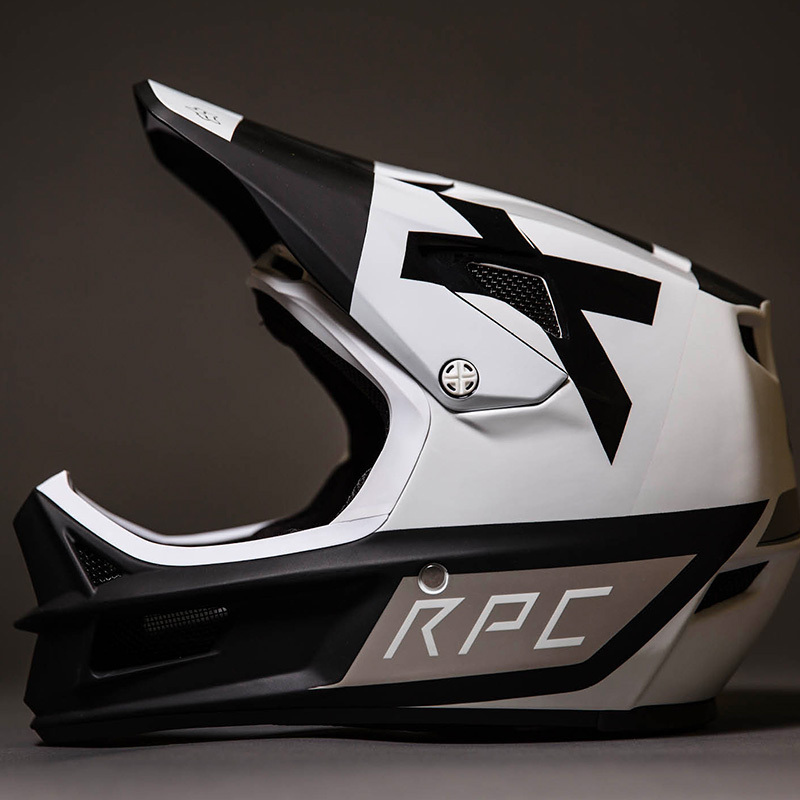 Fox Rampage Pro Carbon MIPS. Two shell and three EPS sizes. S, M, L and XL sizes. The Fox Rampage Pro Carbon MIPS is, like all of the helmets in this round up, a regular on the World Cup podium. You’ll have seen a very fast Frenchman and his Canadian understudy rocking the Fox Rampage this year and at the pinnacle of Fox’s helmet technology, it’s no surprise that it’s Bruni and Iles’ pick for head protection. Fit and comfort of the Rampage Pro Carbon MIPS might well be the best of the bunch with two shell and three EPS sizes available, with the Dri-Lex liner doing a solid job of keeping things cool and sweat-free. Deep, soft cheek pads give a comfortable and secure fit and a moto-style buckle takes a bit of learning to use but feels really secure. 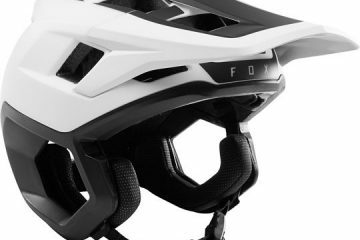 Like many helmets, the Fox Rampage Pro Carbon uses MIPS technology to help slow down those secondary concussions to the head and brain, something that not all the helmets on this list sport. 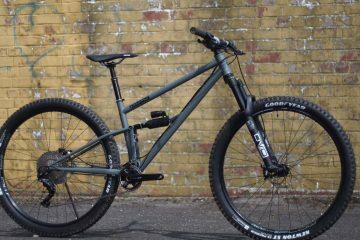 Similar to the Bell Full 9, Team Wideopenmag have used the Fox Rampage Pro Carbon for several seasons of racing. We’ve crash tested the living daylights out of it and can thank it for saving our rider’s lives more than once. We think the Pro Carbon is one of the best looking helmets of the bunch and there’s plenty of colour options to suit even the pickiest of tastes! 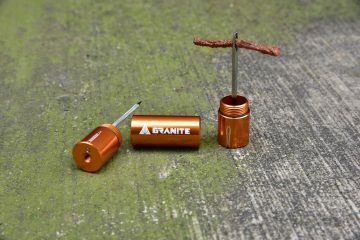 It’s the heaviest of the bunch by 5g… but, just buy some lighter grips and don’t worry about it! Troy Lee Designs D3 Carbon. High modulus Kevlar reinforced high impact zones. XS, S, M/L, XL/2XL sizes. There is no other full face helmet that has won as many World Cup downhill races as the Troy Lee Designs D3. The D3 is their latest and greatest mountain bike full face helmet and is one of the very best ways to protect your head available. Sporting one of the widest range of sizes in this test, the D3 is available in sizes from XSmall to 2XL means you’re more than likely to find the helmet to fit your melon. At just over a kilo, it’s impressively light for a full bore full face downhill helmet and is the lightest in this test. 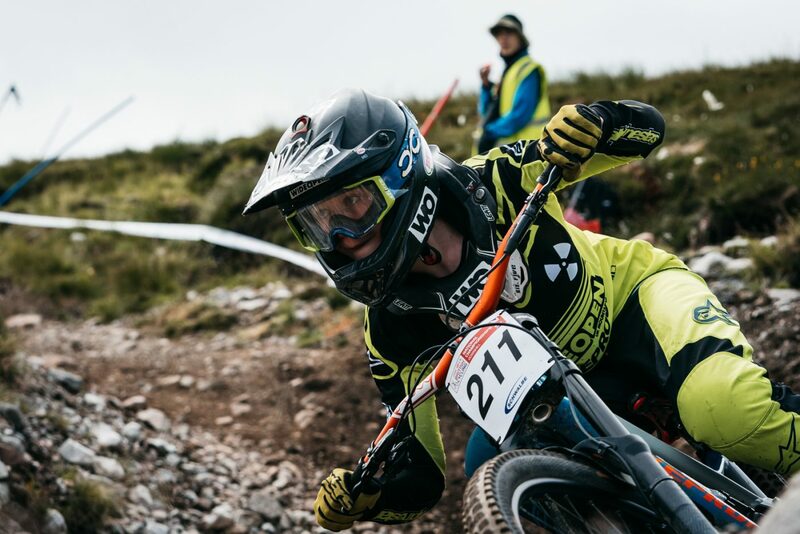 Whilst weight isn’t quite as important for uplift assisted riding, a lighter and airier helmet adds versatility and makes it equally useful for gnarlier enduro races or just messing around in the woods. A MIPS liner deals with the forces acting on your head and sits within the hand-laid carbon fibre shell. There’s also an emergency release system to allow medical crews to easily remove your helmet. With an asking price of £400, we’re at the top end of the list here, but in our experience Troy Lee’s helmets are beautifully made, comfortable, look great and will be an investment you’ll be stoked to wear for seasons to come. If the price tag is too much, there are lower-priced versions available from Troy Lee with very similar styling. We’re struggling to find any faults with this one! 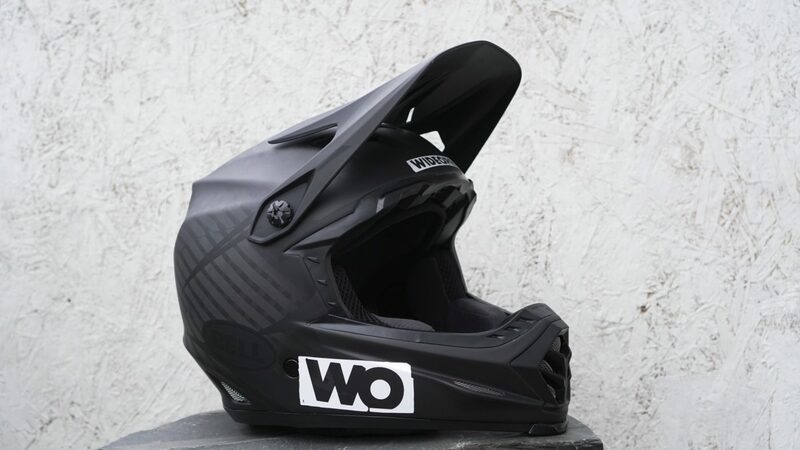 The Bell Full 9 is the helmet that protects Team Wideopenmag’s downhill and enduro racers and has without doubt saved their lives on a few occasions. It’s a helmet we’ve crash tested more than any other and would absolutely put our faith in. The Bell Full 9 offers a hefty size range and with Xsmall up to 2XL you shouldn’t struggle to find one to fit. 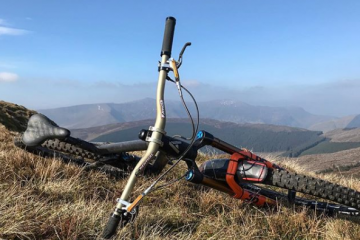 The Troy Lee Designs D3 helmet is our lightest on test but the Bell Full 9 takes second place at 100g more – that’s the weight of two Mars Bars if you’re wondering! Cost varies according to model and at retail is between £399 and £424, which is neither cheaper nor expensive compared to the others we’re looking at. The Full 9 has plenty of great features including a full carbon shell, magnetic cheek pads and the magnefusion emergency release system to help medical crews. Unlike the other helmets in this test, it doesn’t have MIPS, though this is available on the Bell Full-9 Fusion MIPS helmet. Doesn’t have MIPS (or equivalent), but this is available on the Fusion model. Ride 100% Aircraft MIPS Carbon. XS, S, M, L, XL sizes. The 100% Aircraft MIPS Carbon might not quite have the same heritage as the others in the test… But, makes up for it with technical features and (we think) a unique style that really stands out. The Aircraft MIPS Carbon packs in everything we’ve seen from the more established brands, without any daft price-tags or gimmicks. Sizing range is as good as the rest, you’ve got plenty of vents, a carbon composite shell and Ti hardware like the D3, an emergency release system like the Bell and TLD, and MIPS like all but one of the helmets here. It’s also in the ball park weight-wise too though is the second heaviest of the bunch (but only by a small amount). Which helmet you love of this lot will come down to fit and style. We think the 100% Aircraft MIPS Carbon really stands out from the crowd – if you want a unique look, this could well be a great choice. Buy the 100% Aircraft MIPS Carbon on Wiggle for £169.99. And which one do we recommend? Picking a winner of this bunch was tough. So tough in fact that we’ve had to cop out a bit. Every helmet in this bunch will do a great job of saving your life. Everyone of them weighs about the same and everyone of them costs about the same, at full price at least. What it ultimately comes down to will be which one fits your head and your wallet the best. Real world pricing puts the 100% Aircraft MIPS as the cheapest. 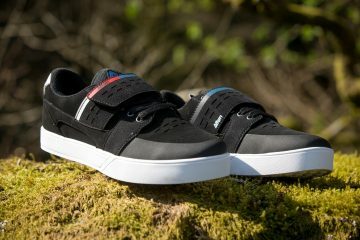 We think that the Fox is probably the most comfortable of the bunch and at full price comes in £40 cheaper than the rest. 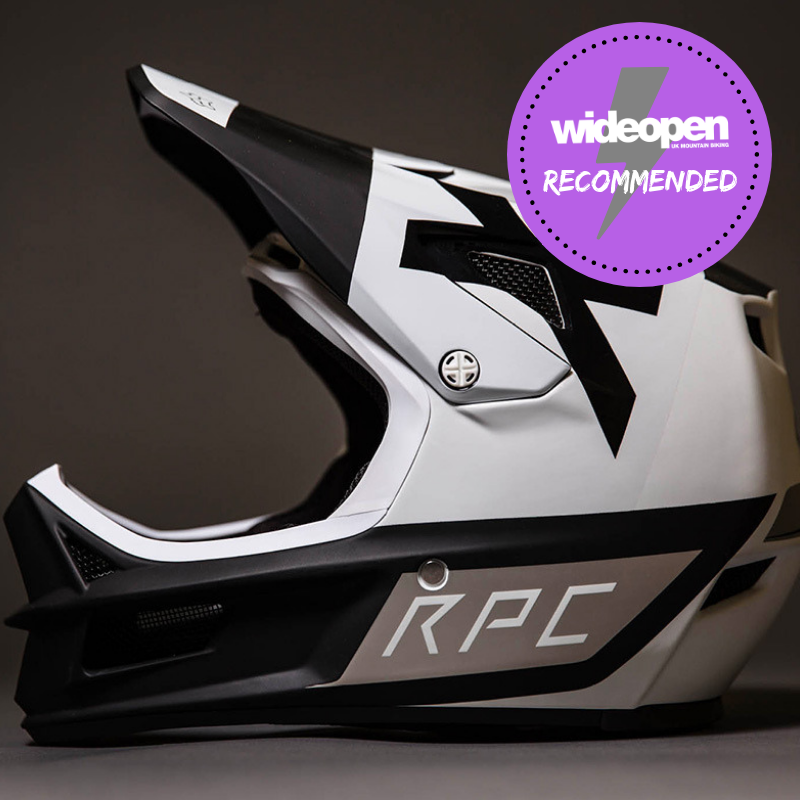 So, whilst the Fox Rampage Pro Carbon MIPS takes our ‘Recommended’ badge of honour, we’d really give every helmet in this bunch a hearty thumbs up. What’s your favourite downhill full face helmet?